Today, We will guide you on how to generate Remita RRR code for payment using the Remita Online Payment platform in Nigeria.All the universities in Nigerian now uses remita payment service to process school fees, acceptance fee and other fees. Apart from paying of school fees, remita can be used to pay utility bills an other transactions. We will show you the steps to make payment to any Remita billers. With this guide, you will be able to make School fees payment, licenses renewals, FIRS Taxes, PHCN bills, corporate Affairs Commission and so on. Going straight to the point, for students, who are asking for guidelines on how to generate the Remita code, here is the step-by-step procedures and guidelines on how to achieve this. Let`s start. The first step to accomplishing this, is by visiting the application page of your institution. 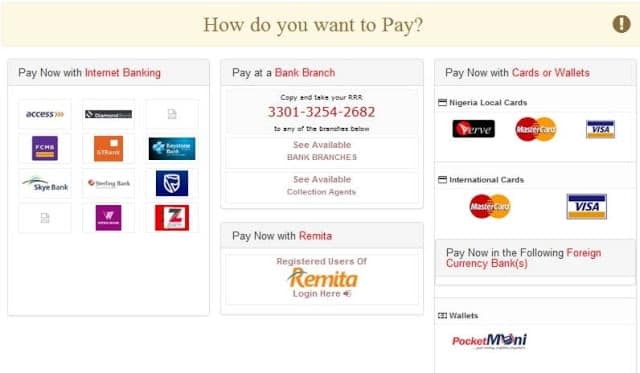 Once the portal is ready, proceed and there you will see Make Payment On Remita Link – click on it..
Then click on “Pay with Remita”. 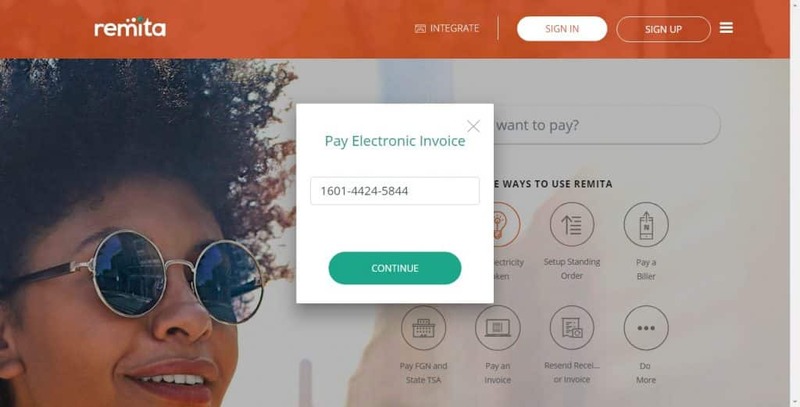 When you have done step 3 successfully, you are required to proceed and click on the ‘Submit and Generate Remita Payment Reference Button (RRR)’. Once you have generated the Remita Payment Reference button, write down the displayed Payment Reference Number (RRR). Go to Any Commercial Bank Branch to Make Payment. After you have made a successful payment, go to the applicant Login Page and Login with Your Username and Password. Copy the (Remita Retrieval Reference) RRR Code generated for you. Then click “Here” link (you will be directed to the Remita page). Input the name of your university in the ‘Who do you want to pay’ textbox. Input the generated RRR Code (Remita Retrieval Reference) you copied earlier. When you see the appropriate logo that applies to your bank card (Verve, MasterCard or Visa), which is located under the “Pay Now with Cards or Wallets” header, please choose your card type by clicking. Then you will be redirected to select (from a drop down option) your type of card. After a successful payment, you will receive a confirmation mail in the email address you earlier provided. Then you have to wait even a few hours (especially if the network is slow). After which the payment will be credited to your portal. As you can see, today Remita is one of the best payment platforms in Nigeria that provides us with one of the most convenient methods to make e-payments. The only thing you need to have is a Remita account and your ATM card to ensure that payments to your billers are in safe hands.